When I received MeMeBox Global No. 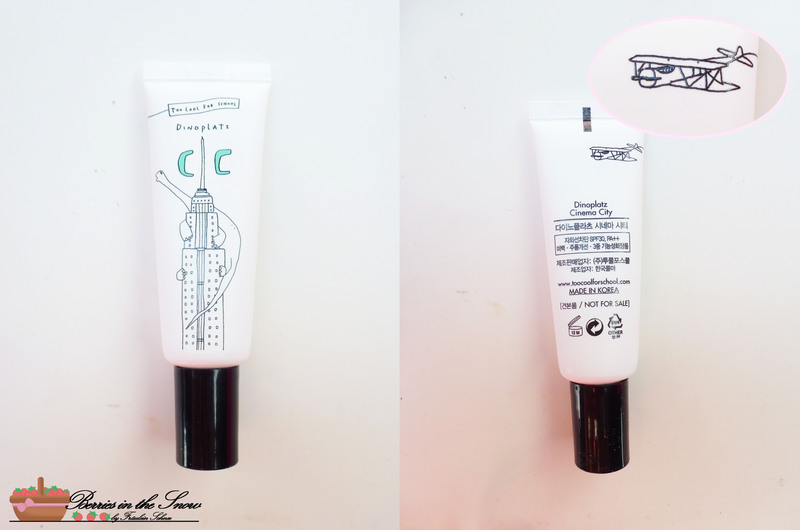 11 the first product I recognized was the new CC cream by Too Cool For School, called Too Cool For School Dinoplatz Cinema City. I’m a huge fan of the Dinoplatz line by Too Cool For School, and previously I reviewed another product from this line, the Dinoplatz Lost Identity Lip Crayon. This line has such a creative and unique packaging and it is so adorable in my eyes! 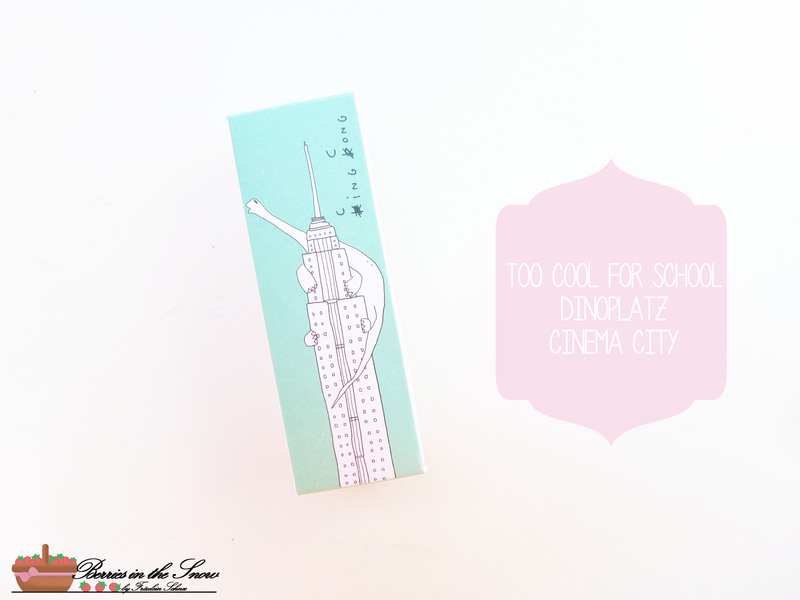 Receiving this product made me super happy, and so finally here is my impression on Too Cool For School’s Dinoplatz Cinema City. The Too Cool For School Dinoplatz Cinema City CC cream is usable for 12 months after opening. The further descriptions on the packaging are written in Korean, so I don’t have any detailled information on the ingredients. You can find some informations on the internet though: The product is 6-free, which means it doesn’t contain phtalate, GMO, acrylamide, tar color, benzophenole, steroid or animal derived ingredients. Some ingredients included are argan oil, apricot oil, niacinamide, adenosine and alaska mineral water. This CC cream claims to moisturize your skin, it also contains SPF 30/ PA+++ and contributes to protect your skin from sun damage. 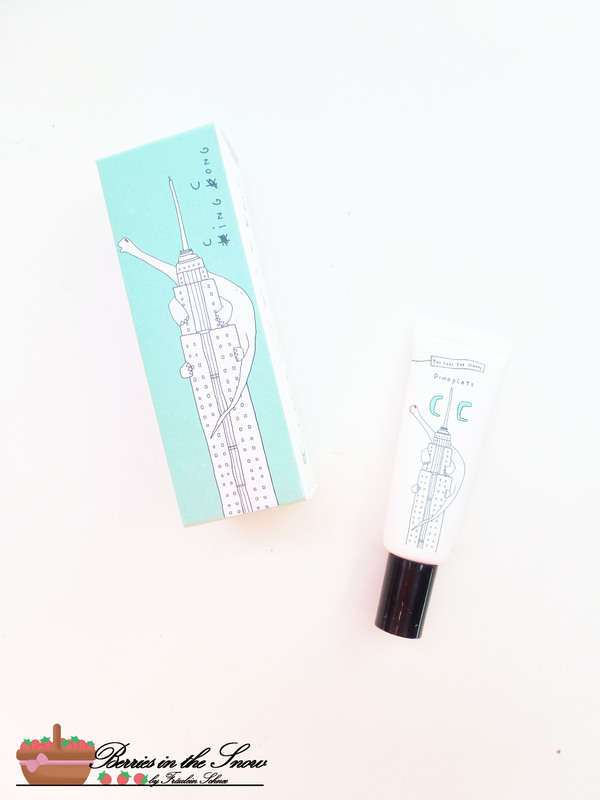 The CC cream itself has a light color. It is a fully tinted cream, not a CC cream with color changing beads. The consistency is rather runny. Also, the product needs time to be blended in when using fingers, otherwise it will stay visible on fine lines for example. Maybe a sponge or a beauty blender will do the trick, but I didn’t try it, so far I always used my fingers. The oil controll is medium. 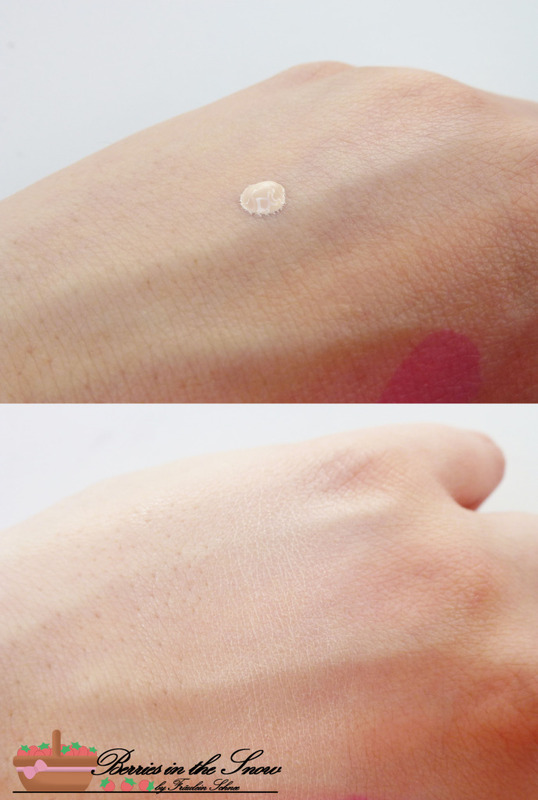 After applying, the CC cram leaves a white cast, but it adapts to the skin after a couple of minutes. The scent is floral, but not heavy. As you can see above, if blended in quickly with my fingers, the CC cream is visible in the lines of my skin. If you take your time to dabb the CC cream into the skin it looks okay though. Nevertheless, I wouldn’t recommend you to apply a thick layer of this CC cream. It is not suited to be build up, because it tends to look cakey. Below, you see how it looks on my skin. On the image before (left side), I prepared my skin with my skincare routine products (toner, essence, moisturizer). On the right side you see how the skin looks after applying one layer of CC cream. As you can see, the coverage is low, but it evens out the skin tone and brightens up the complexion without looking to unnatural. All in all, Too Cool For School Dinoplatz Cinema City is a very natural looking CC cream. 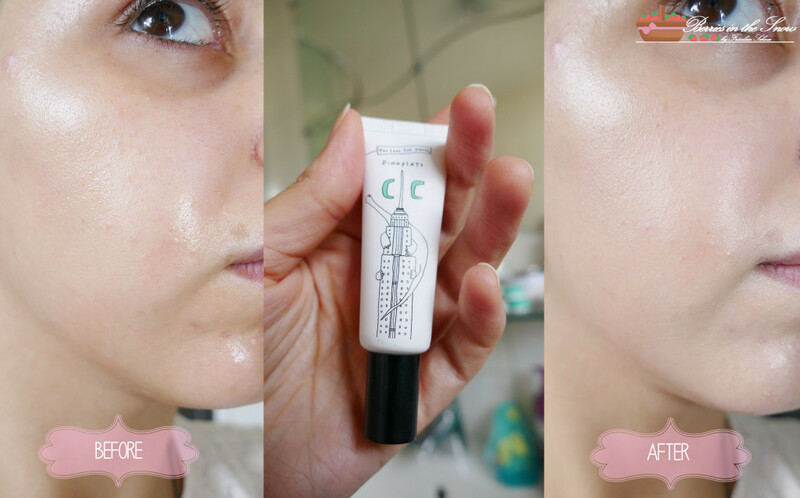 If you don’t have a lot of skin concerns, you might like the light finish of this CC cream. If you have more visible skin concerns, you could either add a foundation or a high coverage BB cream on top of this. If you have very dry skin, I wouldn’t recommnd this CC cream to you. It might look to flakey on your skin. People with normal/combination or oily skin might like this more. The full sized product contains 30 ml and costs 25000 Won (around 25 US$) at testerkorea. Did anybody else try tis CC cream? What is your impression? Did you try the full sized product? Kine last post…Get a Free Physicians Formula Shimmer Strips Palette! This CC cream sounds nice but the full size will be much better!